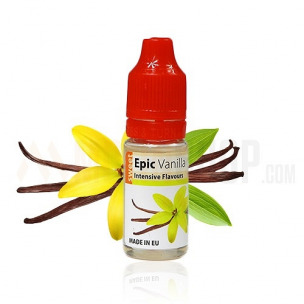 Epic Vanilla 10ml.Perfect and full of flavour Vanilla. Brilliant on it's own and as addition to many flavours. Can be treated as sweetener. Dosage: 7-9%. Bottle 10ml made from PET material, childproof cap, long, thin dropper. Produced in EU.